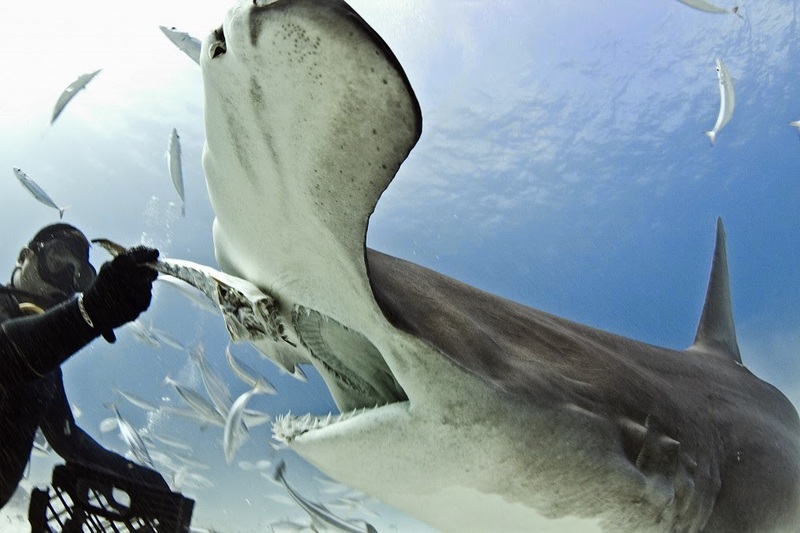 An experienced diver who leads shark diving tours took multiple trips and spent hours diving with hammerhead sharks in waters off Bimini Island, Bahamas, this winter before the sharks got used to his presence and became comfortable eating out of his hand. 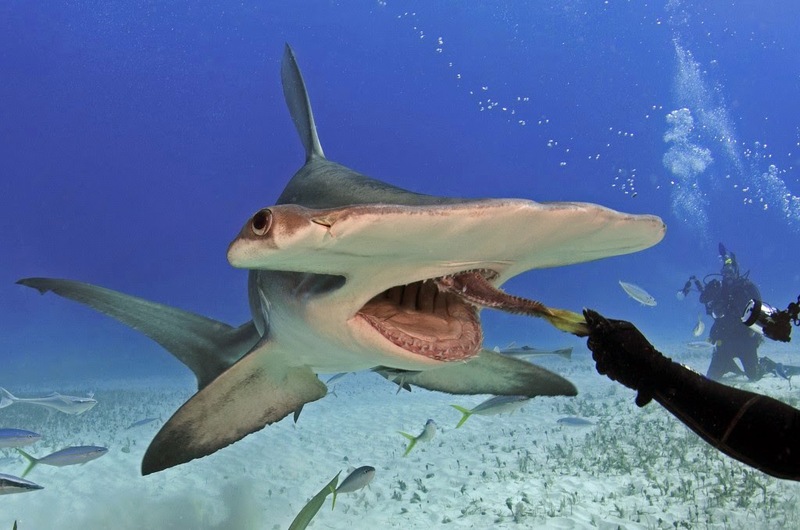 Eli Martinez of SDM Adventures based in North Alamo, Texas, had hammerhead sharks slowly swim up to him and open their mouths to take in the fish he was offering. The scene resulted in an array of compelling photos, as you can see. “This was my second season visiting the great hammerheads of Bimini and working with them this close,” Martinez told Caters News Agency, as reported by U.K. MailOnline. “They are very large sharks, but they are elegant predators. They don’t have a lot of interest in divers as they are so interested in the bait we are offering them. Hammerhead sharks can grow to 19 feet and weigh up to 1,300 pounds. Though their mouths are small in proportion to their bodies, they are equipped with rows of sharp teeth. Hammerhead sharks are known to eat fish, squid, octopus, crustacea, and other sharks, and are not considered man-eaters. 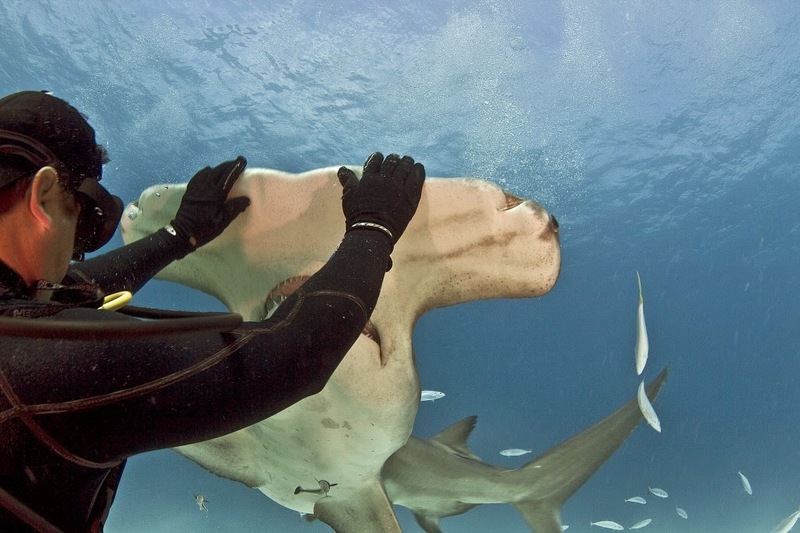 Reportedly, as of 2013, there have only been 33 known attacks by hammerhead sharks on humans, and none were fatal. The damage man has done to the sharks, however, has been devastating, and it is one reason why Martinez is trying to change the negative views many people have about sharks by interacting with them. The great hammerhead sharks are an endangered species and protected by the Convention on International Trade in Endangered Species of Wild Fauna and Flora, an agreement between governments to ensure that international trade in specimens of wild animals and plants does not threaten their survival, Martinez explained.